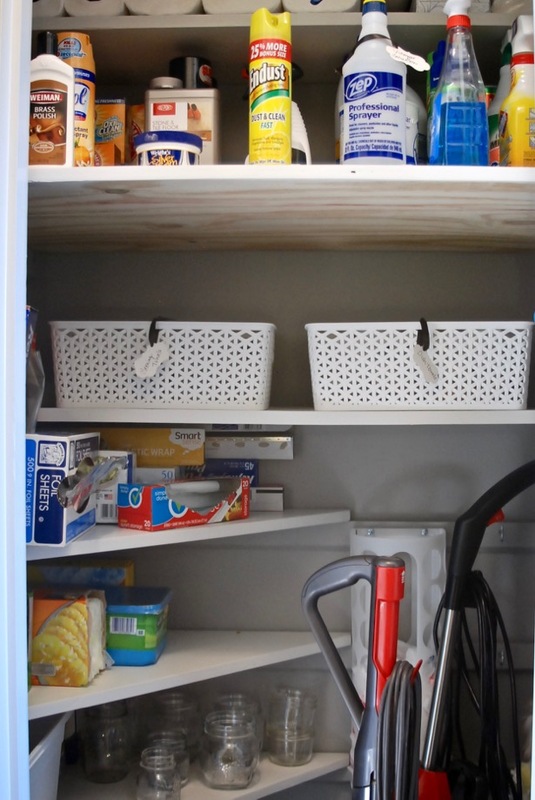 Organize your utility closet with these 7 simple tips. You’ll transform this neglected space into a productive zone that makes cleaning easier! Y’all know I’ve been working on the 3 closets in my entryway over the past several weeks. 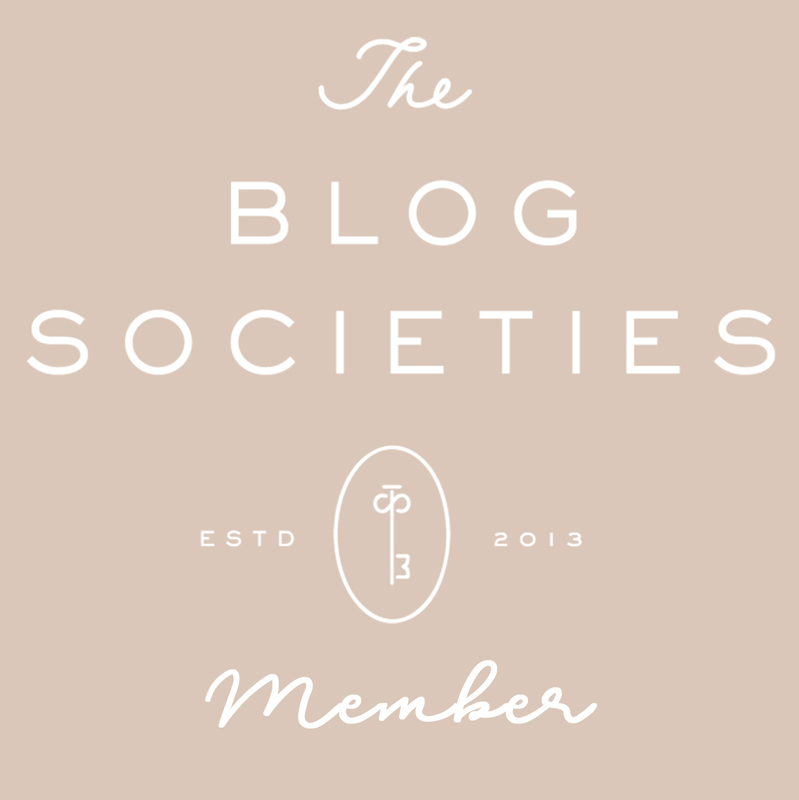 I shared my organizational plans here and the first two closet makeovers here. 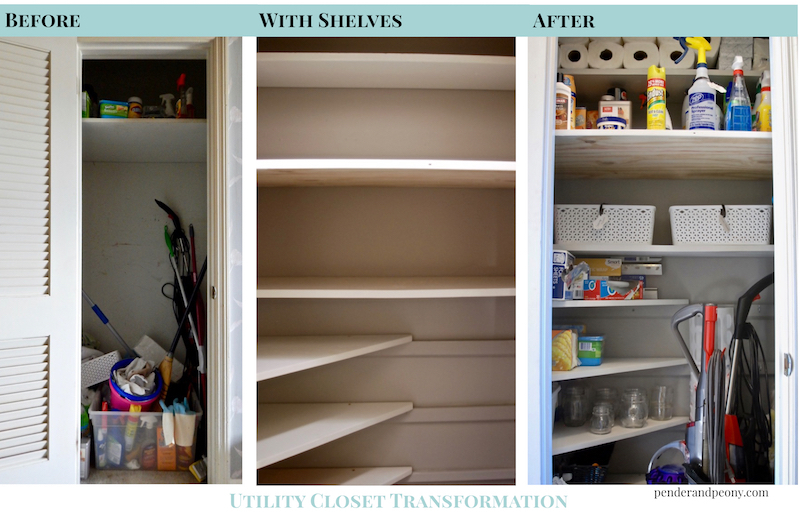 Now I’m finally ready to share my utility closet makeover. It is the biggest and best transformation yet! eeeeeeek! I’m so happy with how it came together! Didn’t it turn out great? 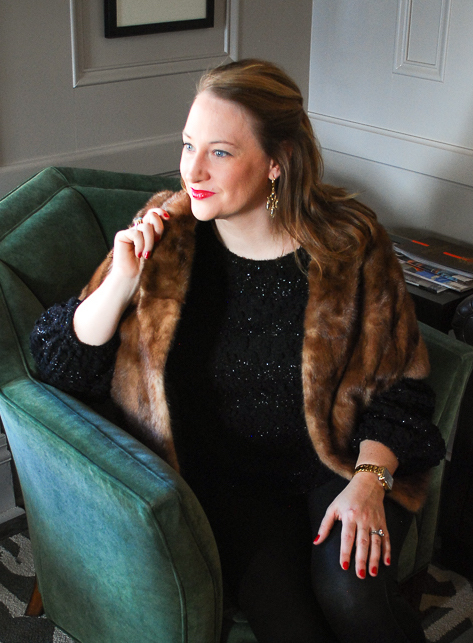 Bonus – I’ve actually felt inspired to clean more often, and it is not such a hassle to find my cleaning supplies. I’ll let you know how long this side effect of an organized utility closet lasts 😉. Eye level access for frequently used items is key – Place the cleaning solutions and tools you use everyday or frequently at eye level so you can easily access them. Stash extras up high – Extra supplies like paper towels, tissue, and other pantry items that you rarely use should go up on the higher shelves. Utilize your corner space – I know baby should never go in the corner, but this is not the case with cleaning supplies and other pantry items. Build corner shelves to maximize storage space and leave vertical space open for long handled mops, vacuums, etc. Leave space for future additions – Try not to max out your space, so that you have room for future purchases. Plan floor space for the vacuum – Chances are it won’t fit on a shelf, so leave it some wiggle room on the floor. Hang it up – use hanging broom organizers and hooks to maximize space. Bins are your friend. Label them – Use bins to group cleaning supplies and create order. 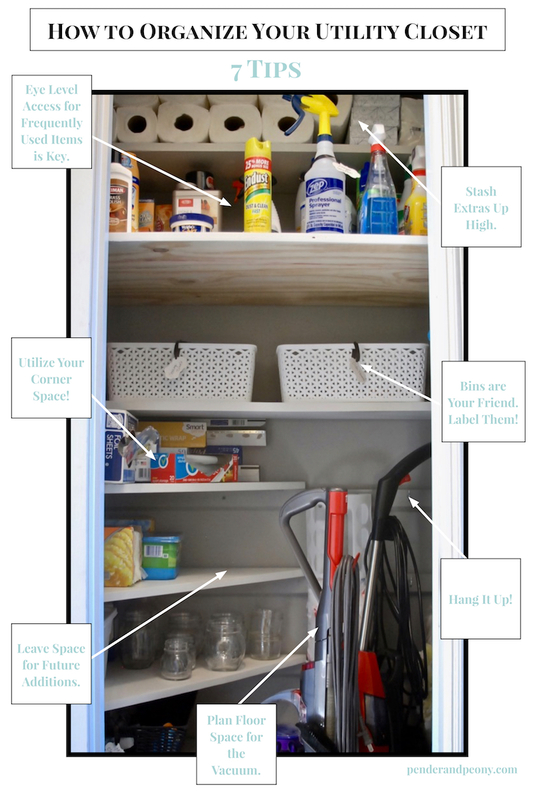 Let me know if you find these tips to organize your utility closet helpful! Share your organization tips with us in the comments!